Many people look at towing and recovery services as a commodity, like rice or flour, or even gasoline. They think that one wrecker service is as good as another, and they call around looking for the cheapest tow in Oklahoma City. This can be a very inconvenient and costly, if not dangerous mistake. Why is that? I’d like to share a few reasons why, from the standpoint of an industry insider. 1) Employee Turnover. 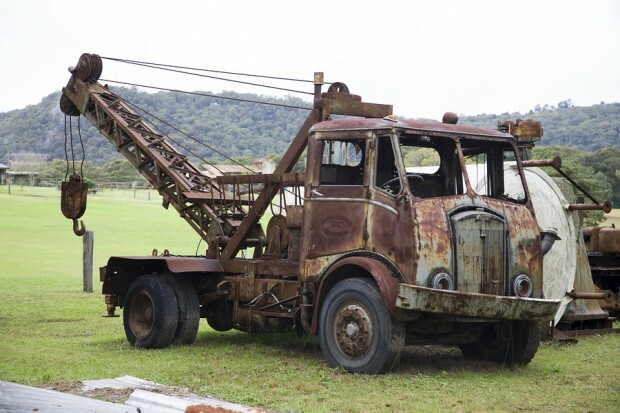 When you need a tow, would you rather get a wrecker operator with years of valuable experience? One who feels a sense of ownership in his job, his company, and his equipment? One who is very familiar with his truck, and his company’s policies? OR… A driver who has worked for several different companies over the past few months, or perhaps worse, has little to no experience or training? One who doesn’t know how to keep you safe at an accident scene? One who isn’t paid well and is treated worse by his financially stressed employer? This is exactly who shows up when you look for a cheap towing service. Our wrecker operators enjoy what is one of the best pay scales in the industry in Oklahoma City. Our tow truck operators are happy, and it shows in their attitudes and their willingness to go the extra mile to find the best solution for your problem. Our operators get advanced training in accident scene management, training that the brand new guy at the other tow company has never even heard of. 2) Equipment. Honestly, is it worth saving $10 to $15 on a tow, only to have to ride in a greasy 20 year old wrecker with no air conditioning? Consider the added stress and inconvenience if their truck breaks down while your vehicle is being loaded. Our wreckers are in great condition, and are taken out of service for repairs any time that comfort and safety equipment isn’t working properly. We also budget for replacing aging equipment. We don’t try to get every call in town, and we take advantage of slow hours as they come to keep our trucks clean. 3) Safety. The tow company that constantly strives to be the cheapest usually will not earn enough revenue to meet all the financial needs inherent in running a small fleet. Something has to give. Running the wheels off of a truck just to make payroll means that there is no money available for repairs and maintenance, or replacing aging equipment, paying the operator a good wage, or God forbid, maintaining needed insurance coverage to protect you and your vehicle. Do you want to be picked up by a tow truck with bald tires? How about the oil stain they leave in your driveway while loading your car? 4) Service Standards. The operator who wants to get every call by lowballing the price will be very busy. It may take 2 or more hours to get a tow, even when you are on the side of the freeway. It’s been said that you can get Cheap, Fast, or Good. Pick any two, because you can’t have all three. We aren’t the most expensive, by any means, but we choose to provide superior service for a fair price, rather than to endeavor to be the cheapest tow in OKC. 5) Ethics and Responsibility. Handling problems that may arise is important. Ignoring complaints and refusing to return calls is unacceptable. We believe that doing the right thing every chance you get will make you successful, even though it may cost you money in the short term. We work well with others, especially repair and body shops. We do what we say we will do, and when we say we will do it. If there is an unforeseen delay, we will let you know and keep you informed. Pay attention to how people who you do business with handle problems or complaints. Think about how important that basic trust is for you. Consider that we carry more than DOUBLE the State required amount of insurance coverage on your vehicle when it is in our care. Remember the commercial about the barber who had a cut rate chain haircut store open up across the street? They were advertising $6 haircuts, while he was getting a fair price of $12 or so. He put out a banner that said,“We Fix $6 Haircuts”, and in 5 months, the cheap store went out of business. 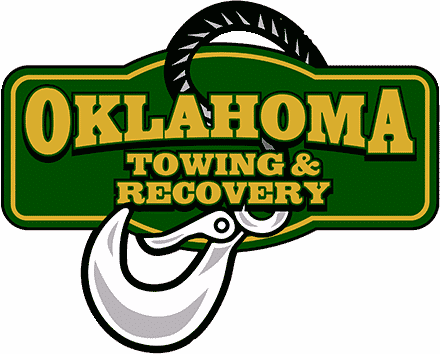 Oklahoma Towing & Recovery may be relatively new, but we are here for the long haul. We will still be providing exceptional service long after the other guy wears out his trucks and goes out of business. Still want to go with“Two-buck Chuck in a Truck” to save $10 on your tow? We operate this business up to a standard, not down to a price.